Ben, Nicola, Flynn and Soren. 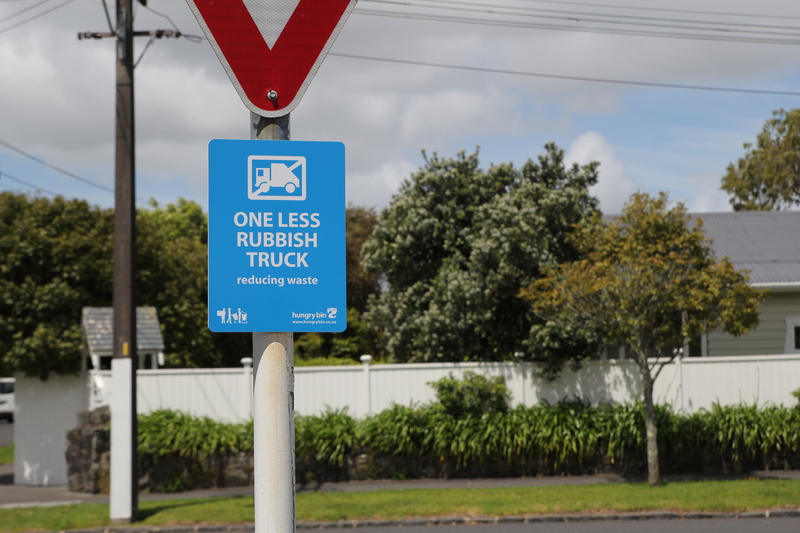 What does ‘one less rubbish truck’ actually mean? Soren and I did a little video in our street the other day to celebrate International composting week. We counted out the stickers that I’ve put on peoples letter boxes, showing the households that are composting, worm farming and so on. I’ve realised there are a few that are composting and haven’t got stickers, so I’ll need to get the stickers out and do some door knocking! Getting people to be as excited as I am about composting is pretty hard. It’s not really one of the things we’re inclined to share with our friends, (or if we do they’d probably rather we didn’t!) I’m hoping that by putting stickers on our letter boxes, making something we’re doing in our back gardens visible from the street, we can all feel like we’re doing something to make a difference. In January 2011 Auckland Council called for submissions to the Draft Waste Minimisation and Management Plan, part of the work being done to standardise the handling, collection and processing of waste following the amalgamation of the seven legacy councils into the super city. As you can imagine the task of bringing the existing legacy contracts and services from seven different councils together is a pretty massive undertaking. All sorts of different contracts and ways of picking up waste were in place around the region. As large as the job is, I think it also represents a once-in-a-lifetime opportunity to do some pretty special things, especially as it’s very unlikely that Auckland will have this huge structural opportunity again any time soon. It’s our one chance to design a system and a method of dealing with waste that will be serve us and our environment well for years to come. 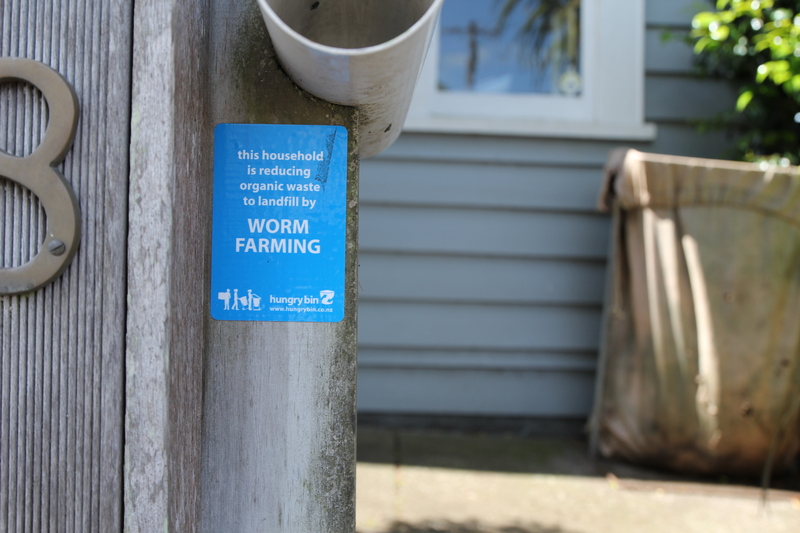 I’ve been interested in composting and worm farming for a long time, and so obviously I’m incredibly interested in the plans Auckland Council has for the city’s organic waste. In my submission to the draft Waste Management and Minimisation Plan, both as an individual resident, and the owner of a company specialising in home composting solutions, I argued that the opportunity to undertake an inspirational and inspiring project should not be missed. 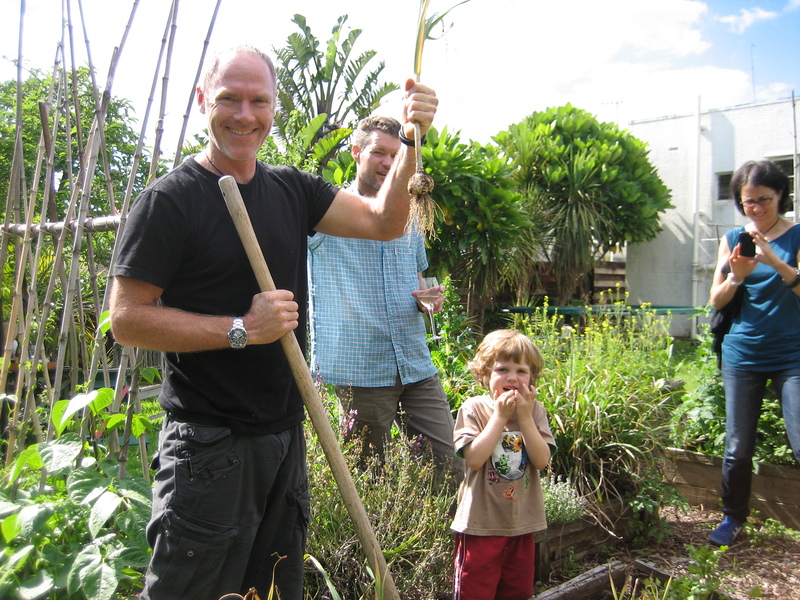 As a family we were already composting all our organic waste and using it to grow a garden. I also knew there were plenty of other people doing likewise in my street. Essentially, I believed there must be a lot more people like me in the city – home gardeners and composters that would be unlikely to throw out their organic waste, and certainly didn’t want or need a solution provided to them at great expense. I also thought there would be lots of people who wouldn’t need much convincing to start composting, and that the result of them starting to compost in their own back yards would be a great environmental outcome. I surveyed my street to find if my hunch was right. It was – nearly half the street was composting or worm farming already. I also asked people what it would take to get them composting at home if they weren’t already. Surprisingly little as it turned out. Of those 24 households 18 of them (85%) would worm farm or compost if they were offered a subsidy and some information and or assistance to help get the system going. If the proposed system was provided free of cost, an additional household would commit to diverting their organic waste. Only 3 of the 24 households would prefer a kerbside bin over any other system, even if the alternative was provided free of charge. You can read my personal submission here, and my company’s submission here. In my submissions I argued that while there is a place for a kerbside pickup, it should only be considered after the opportunities to reduce the waste stream via community engagement had been exhausted, properly funded and given time to work. The total cost of a large scale community engagement program would be a fraction of that implied by 450,000 wheelie bins to households across the city, 75 rubbish trucks to transport the waste, and at least two multi million dollar processing facilities. 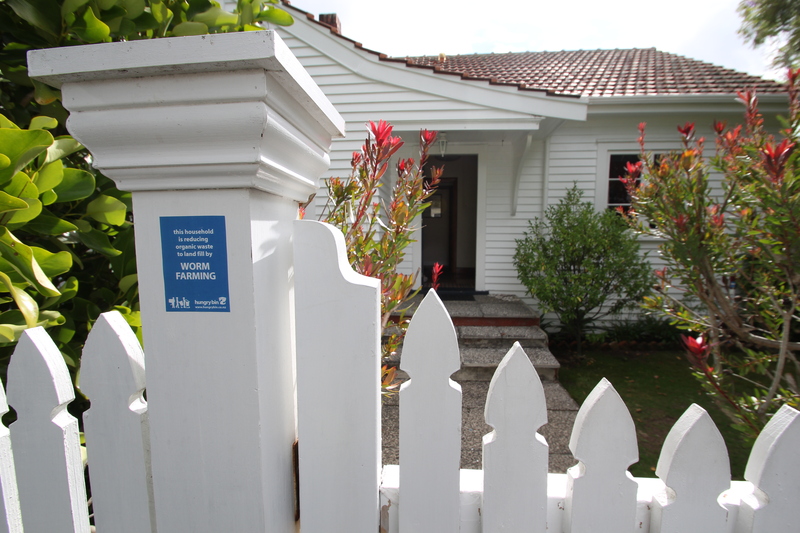 Unlike my bit of local research, which suggested a pretty obvious direction that made a lot of sense, I couldn’t see the evidence that Auckland Council had done much work to understand this idea. Had they really investigated the implications of rolling out a large-scale programme to encourage people to compost at home in the first place, rather than providing an out-dated, centralised solution at great expense? 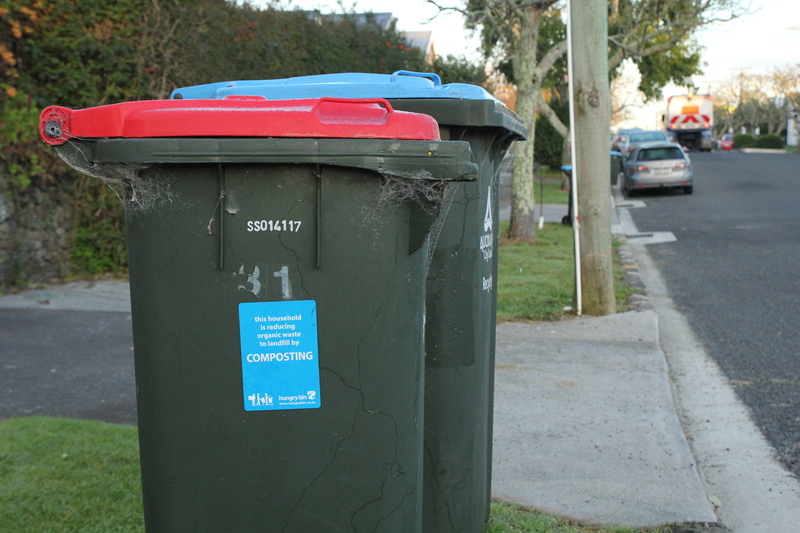 Although the council had commissioned an extensive survey called The Auckland Household Waste Prevention Study, it seemed like the policy decision to pick up Auckland’s Organic waste at kerbside had been made long before enough work had been done to understand the problem, let alone devise and test a range of appropriate solutions. It felt almost like the council had been careful not to ask the important questions, lest the answers they received negatively impact the solution they were already planning to impliment. It’s very hard to arrive at the best solution if you’re not asking the right questions in the first place. 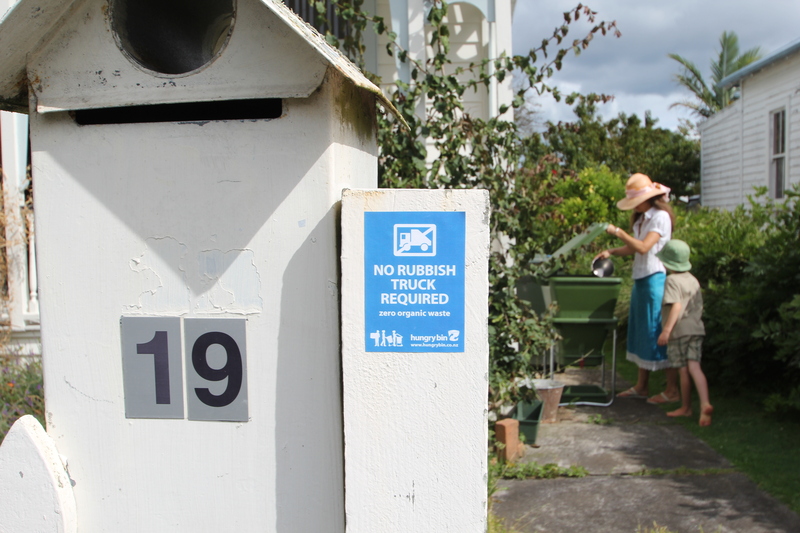 When Auckland Council’s plan was published, it turned out that the vast majority of the funding for waste services at a household level would be allocated to a new city wide kerbside collection for organic waste. I was naturally very disappointed. I was being asked to pay for a service that I didn’t need and definitely didn’t want. Sure, I have the option of not using the service, but in this user pays society, why should I have to pay for a service that I don’t use or require? As part of my work I supply solutions to customers looking to reduce their waste stream and process organic waste on-site. Naturally I have a stake in any decision Auckland Council makes in this area. Processing waste onsite and using the compost to grow food is internationally recognised best practise and has the best possible outcomes for the environment. Auckland Council is going to offer the market a ‘free’ centralised solution, but which has lots of hidden economic and environmental costs. Their ‘solution’ also makes it very hard for a local business like ours to make a living selling a product or service in the same space, and particularly galling as the solution companies like mine offer are much better for the environment in the long term. The Council will of course argue that they do indeed support home composting and will point to the community engagement programme they fund in the area. My issue is that the money Auckland Council could spend helping people achieve the best environmental outcome (composting at home) pales in comparison to what they are spending implementing the worst (trucking waste 60 km to compost it). If you start at the bottom of the ladder, you have to climb the whole thing to get to the top. If you start at the top, you’re already there. The solution Auckland Council has come out with is in my opinion only marginally better than land filling the waste in the first place. It doesn’t appear as if a life cycle analysis has been undertaken to compare any of the possible options at all, which makes it very hard to compare the final outcomes of any of the solutions, and therefore make an informed decision about what will be the best approach. By writing this blog and publishing my thoughts, I’m hoping to get more people asking more questions, which should help find some of the answers. I’m also hoping to provide some positive and inspiring examples from my own street of other ways to approach this problem. I surveyed my street in 2011 and I was surprised to find how many people in the street were actually composting or worm farming already. Almost everyone I talked to was aware and engaged with the idea, and a fair few houses in the street had substantial composting systems, along with bountiful gardens. If you walk or drive down our road you’d have no idea that was the case. How can you tell who’s doing what? 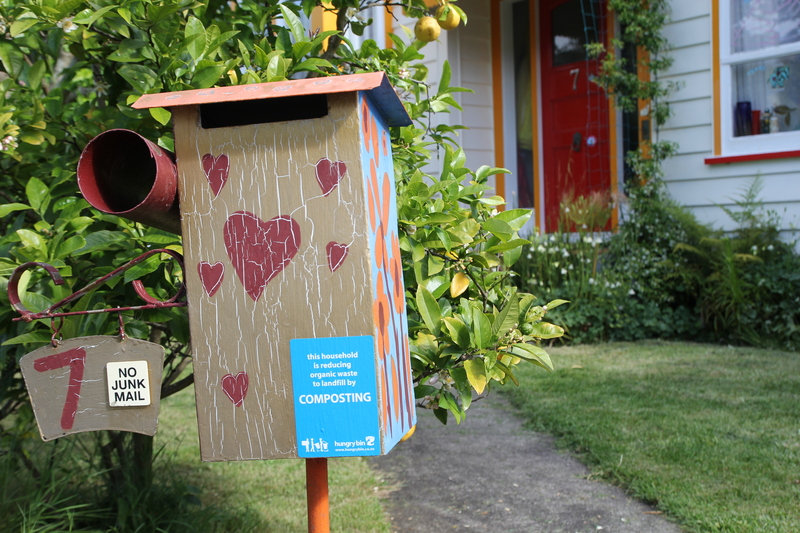 Recently I saw a sticker from a project in Melbourne, which puts little stickers on houses and letter boxes when people start composting. I think this is a great idea. A letter box is a good place to make a statement. The sticker then tells a little more about the people who live there, it says something about what it is that’s important to them. Some people put a lot of effort into their letter-box, so it says a lot about who they are and what they care about. My letterbox is a bit neglected, but it still does the job. I think it’s fair to say we’ve got the full range on our street. Simply putting a sticker on your letterbox about anything is a pretty strong statement. If it’s a statement about something you do to help improve the environment even better. 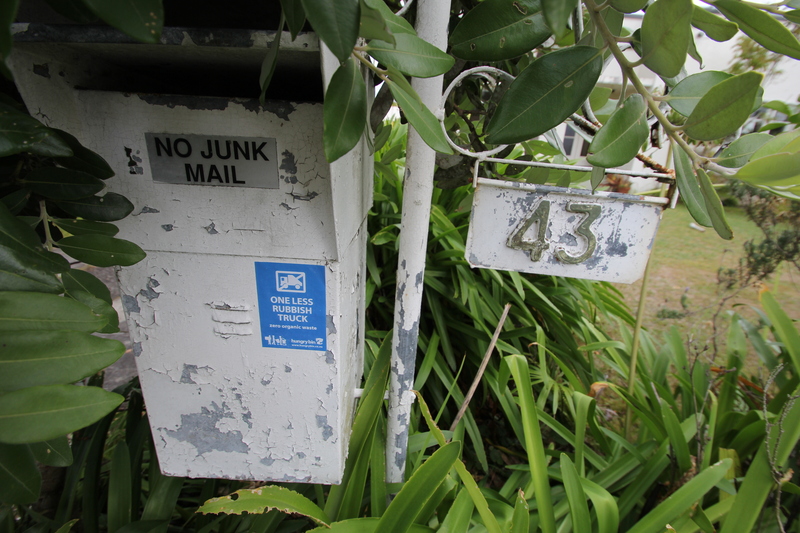 If you have a sticker that says ‘No Junk Mail’, what about one that says ‘Composting happens here too’? If you walk down the road and it seems a lot of people are doing the same thing, you might consider it too. 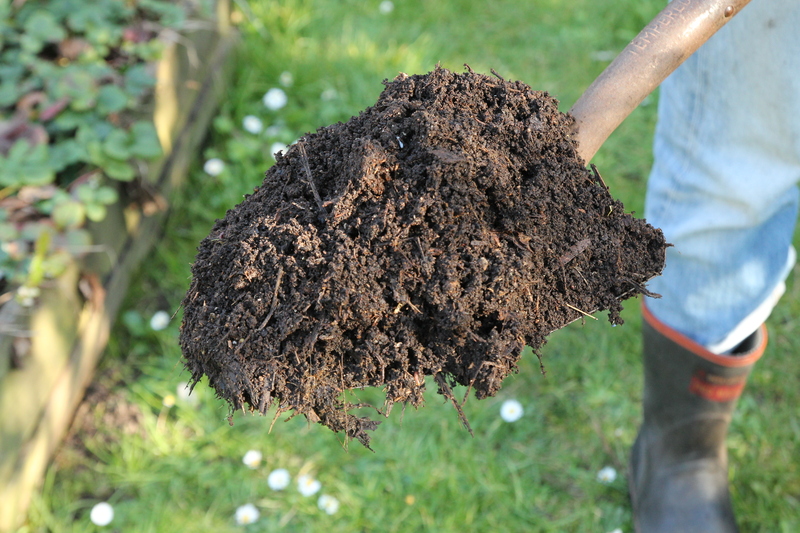 If you know that the neighbours are composting, and you want to learn about it yourself, you can ask them for some help. One of the concepts people talk about in sustainability is ‘Visibility’. We all take cues from those around us, and this shapes a lot of what we do. If everyone’s looking at you, you feel a bit sheepish right? It’s the same in reverse, if you’re doing something cool, it’s nice to know you’re not alone… This shapes a lot of the decisions we make or things we do. If we don’t know what everyone is doing around us, it’s hard to relate to the idea that we’re acting collectively, or that what we do actually has a meaningful impact. More composting, less rubbish trucks, less cost for us and the environment in the long run. Hopefully we’ll get a few more stickers on letter-boxes in our street soon, and then we’ll start looking for another street that wants to be part of the revolution! I feel very lucky to live on Halston Road. 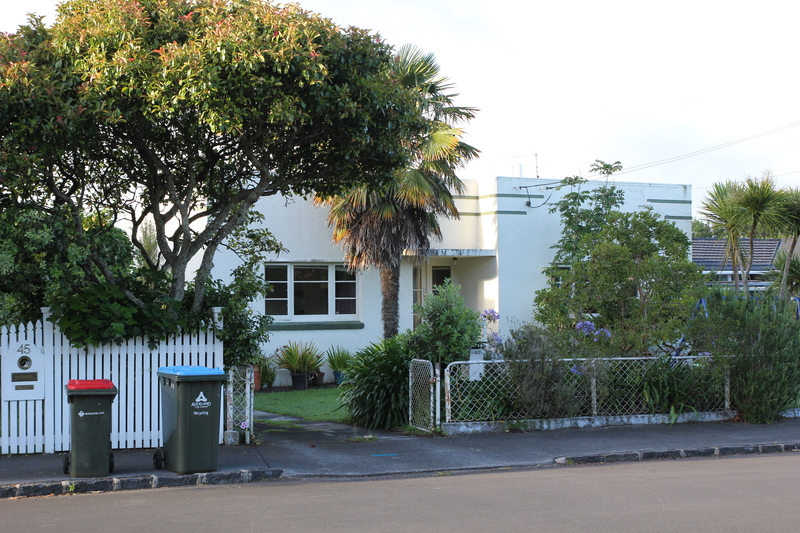 When Nicola and I moved to Balmoral after both living for years in Grey Lynn, we both felt a bit apprehensive about moving away from our community and into what felt like the suburbs. When we moved in, our landlord told us that it was a great street and ideal for us because it was so close to the school. We live in a small comfortable house, but with a large garden. The soil here is amazing, and brilliant for gardening, which I really appreciate. 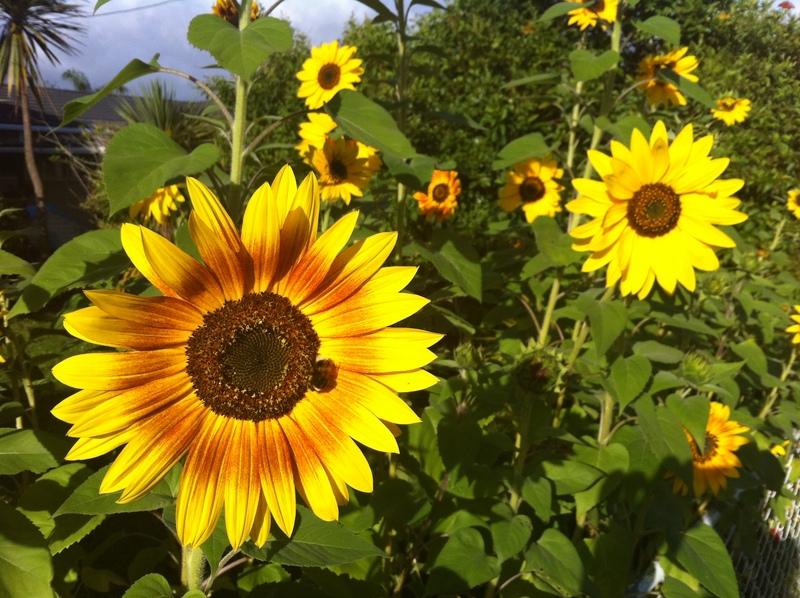 Because a lot of people in the area have large gardens and have planted a variety of plants, our bees make the best honey. Halston Road, and the area, has a lot to offer. It is close to some excellent restaurants, a short ride to town on the bus, and many great people live in the hood. We’ve become part of a local ‘village’ that’s really important to us and our children. The street has a strong sense of community, firstly lots of friendly people happen to live here, but also due to it’s aspect and layout, which make it an easy street to get to know people. A lot of people in the street walk in the area, so over they years you say hi a few times, and it’s not long before you’ve had a conversation. The children in the street help create a lot of connections and friendships too, they seem to be constantly trooping from one house to another. That and the fact that everyone can walk up to the school, so there is a lot of coming and going on foot. The children help create a lot of connections and friendships too, they are constantly trooping from one house to another. 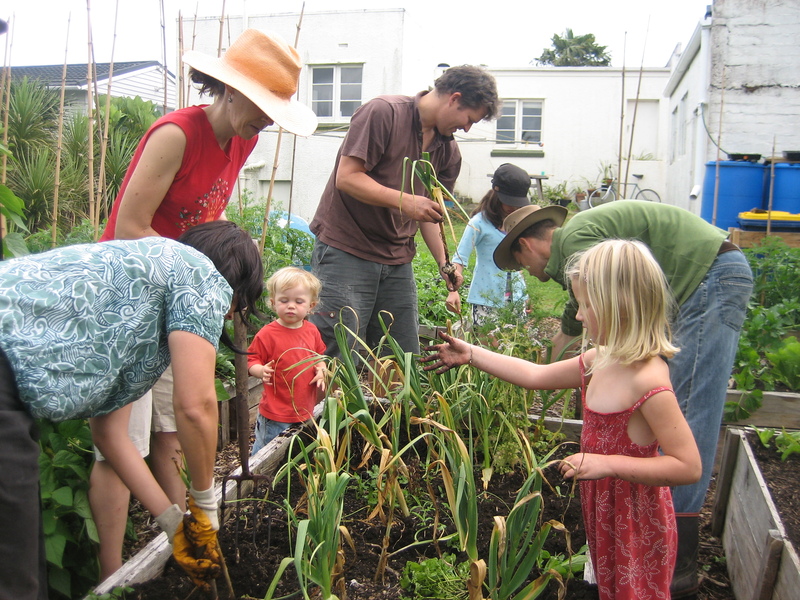 By some strange fluke, we also have had a number of people working in sustainability living in the street, which also helped build connections, because these folks have actively gone about creating a sense of community. The result has been a street that has a real sense of connection. 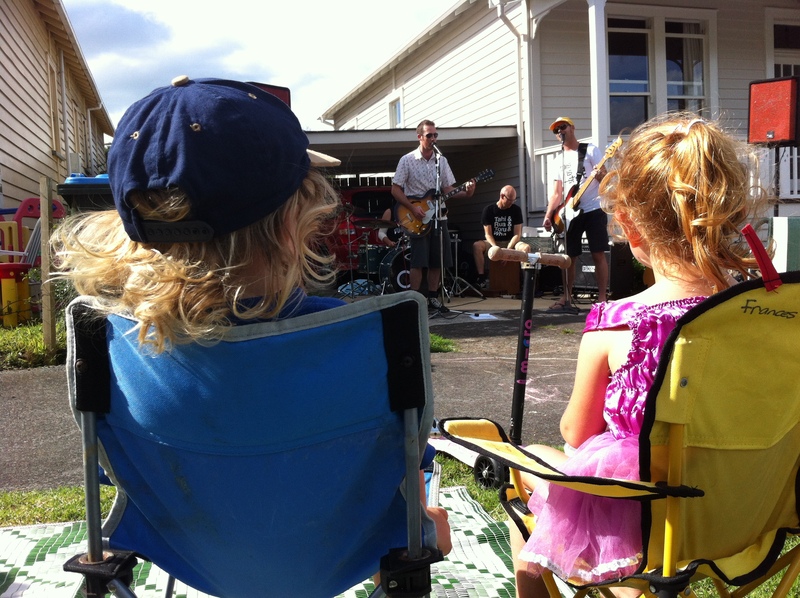 We’ve had street parties on Neighbours Day; we have a walking school bus for the younger kids; and one of the best things, a street Facebook page called Superhood, started by Kent – one of our neighbours. The Facebook page is a fantastic way for everyone to keep in touch, share information, and ‘put names to faces’. I’ve always felt that sustainability should start at home, and in the community around you. 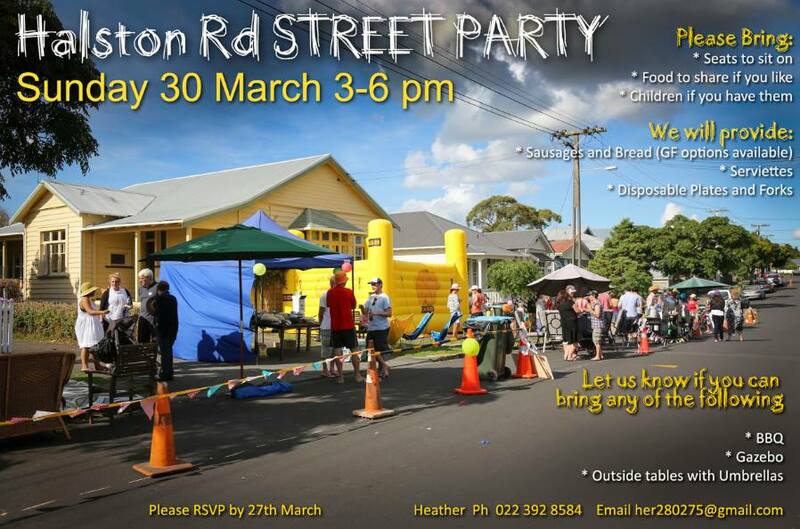 There are already a lot of neat things going on in Halston Road, and plenty of people ‘doing the right thing’. It’s one of the best places I can think of to start a project like this. In this blog, I’ll be writing posts about gardens that are fertilised with home grown compost, including my own. Why? Because I think it’s a bit hypocritical to be making statements and writing about about better ways to do things if you’re not walking the talk yourself. What better way to start than in the garden, and with one of my favourite plants, garlic? For a start, I love eating garlic, and use it all the time in my cooking. I also love the idea of planting a crop on the shortest day of the year and harvesting it on the longest. It feels like I’m part of something that is centuries old. 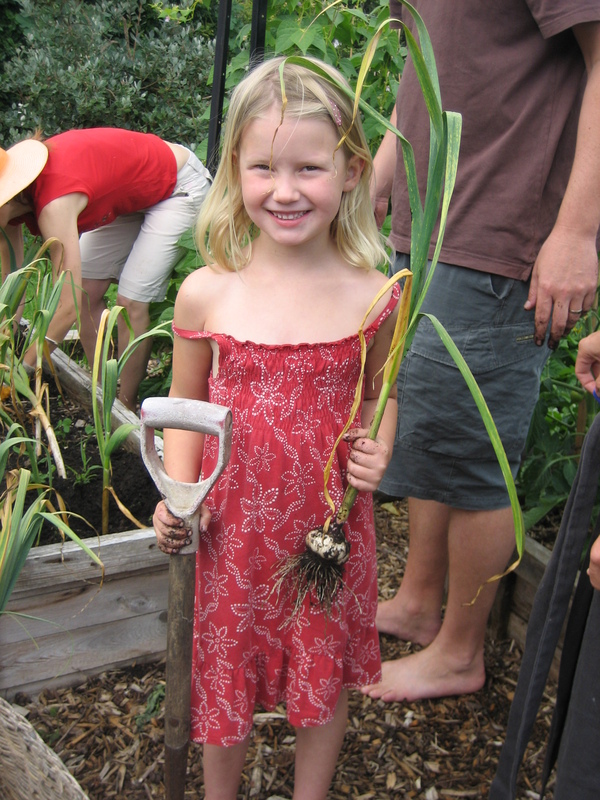 We have a little ritual every year when we plant and harvest our garlic. It’s a chance to stop and really appreciate the amazing seasonal process unfolding in front of us. I also really enjoy the moment when the first little garlic shoots come up and signal that spring is truly on its way. I always feel thrilled when I see the first one poke up out of the soil. Garlic is a gross feeding plant, in other words it needs a lot of nutrients. Like almost all plants, to get a good harvest, you need great soil. Nothing is more satisfying than harvesting a big bulb of garlic that you grew yourself. Because you grew it yourself, it absolutely tastes better too! 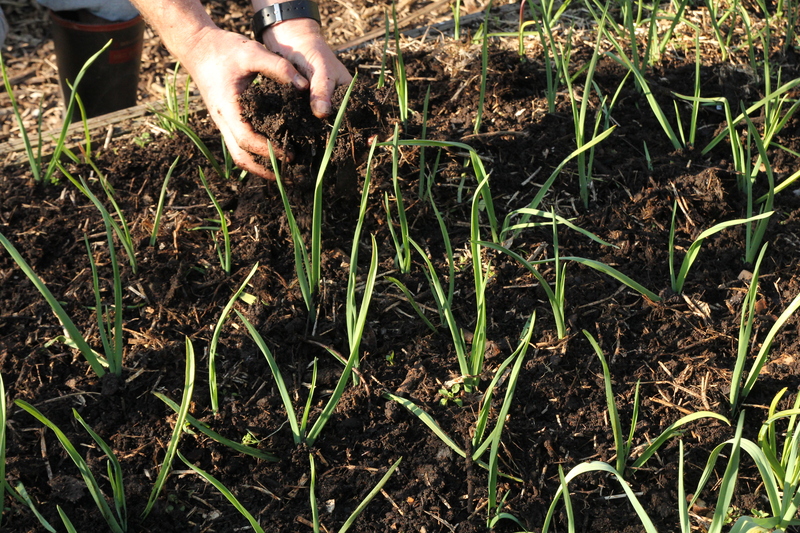 Nothing will help your garlic grow faster larger and stronger than high quality compost. When I prepare the garden beds for garlic planting, I dig in a lot of compost, and over the growing season I will sprinkle compost around the roots to help keep them fed. I also water my garlic with liquid from my hungry bin worm farm. Generally when I fertilise plants with worm liquid I don’t dilute it at all. I just put the liquid right on the soil. If the soil is a little dry, I’ll dilute the worm juice 10 or 20 – 1 to help it go further. Garlic also needs moist soil when it’s growing, so I try to remember to keep it watered, especially if it’s dry during the spring when the bulbs are sizing up. We often invite friends and neighbours to help us harvest. All part of the ritual – and it comes at just the right time of year. 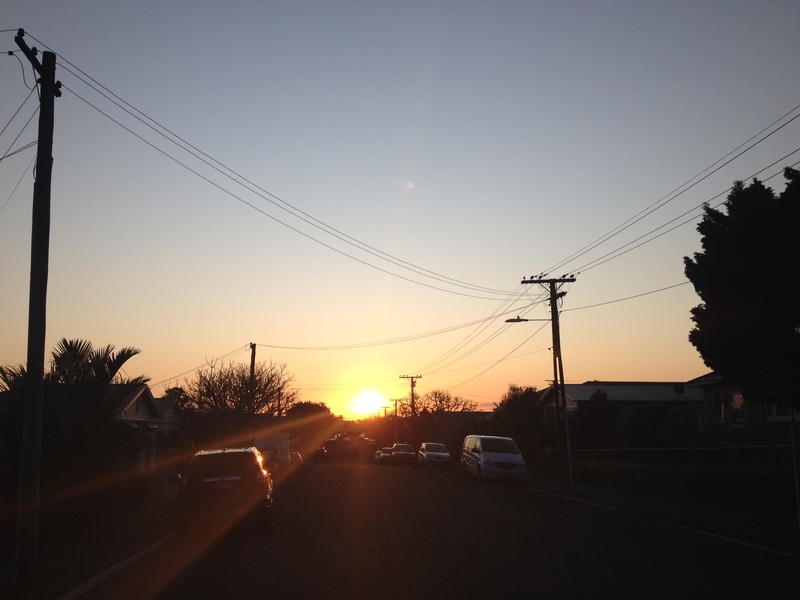 The longest day – or summer solstice – falls just before Xmas. It’s definitely a time to celebrate and get together with your friends.